Hello, I’m Anne and welcome to our new Websites. Adorn Anew and Bitz N Bobz have established Ebay Stores offering great service and products sourced from around the world, and many decades. 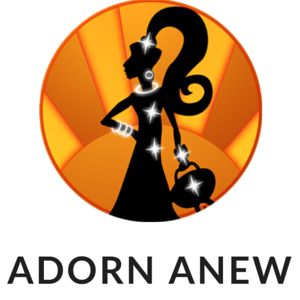 Adorn Anew has gradually evolved and continues to evolve, now beginning to concentrate on more unique items particularly Vintage and Preloved Jewellery and this year will be looking to expand our Fair Trade Jewellery Collections. We are currently looking across the globe for new ethical suppliers. More news in future Blogs. Bitz N Bobz has gathered an eclectic mix of small collectibles, particularly pin badges from the Scouting and Guiding world to Militaria, Automobilia, Sports Memorabilia and beyond. The stock is ever changing and there will always be a sense of nostalgia and a few surprises. We will keep you posted in future Blogs. Thank you for reading, I know it is short and sweet, but we will keep you updated with all our news on a regular basis.